How was your weekend? I had a great weekend. My husband and I redid our home office. The setup completely annoyed me every time I got into the room. Last week I just said (one to many times) that I wanted to change the setup, so last weekend we did it and I'm happy with the outcome. It's not completely finished, but we are getting there. So pictures will follow soon. I've also got some corporate gifts done for a few clients who requested them. So this week I'm fully loaded with allot of stuff to do and to get done before the end of the year. As we are on a working mode this Monday, let me inspire you with some creative workspaces to get the flow of the week going. 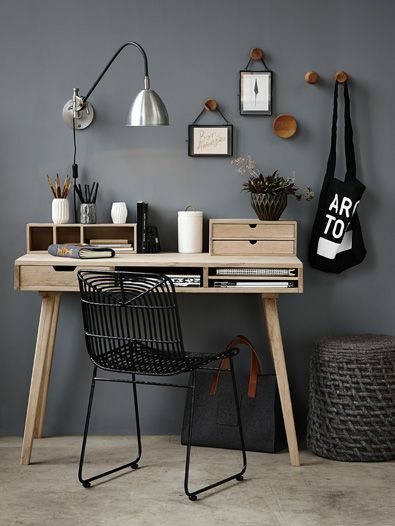 For more inspiration for your workspace, click here. How was your weekend? Did you redo a room in your home? I would love to hear about it.